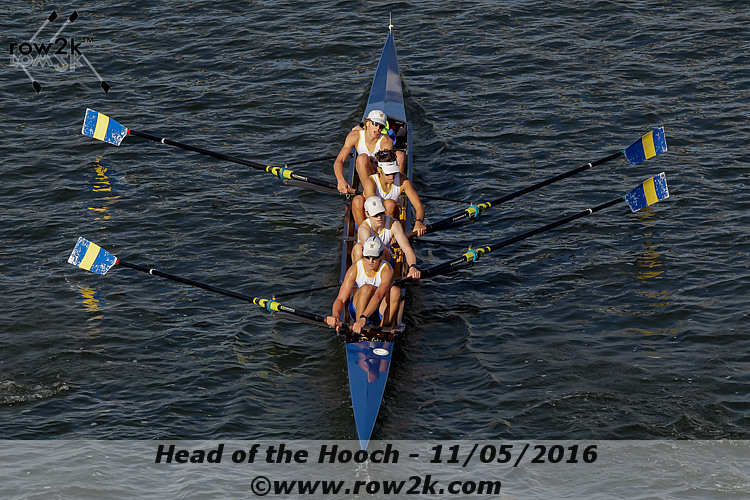 Chattanooga welcomed Nashville crews of all ages and boatings with good weather and fair water for the 34th annual Head of the ‘Hooch regatta. The weekend saw many great results, and the racing proved an exciting culmination of the fall season. Racing kicked off Saturday morning with two men’s masters boats coming down the course. The 4x finished 14th out of 15 entries, and the 4+ placed 11th out of 22, good enough to qualify the boat for entry into next year’s regatta. The two men’s youth 4+s were the next crew to toe the line, with the A and B entries finishing 8th and 51st, respectively, in a deep field of 75 boats. 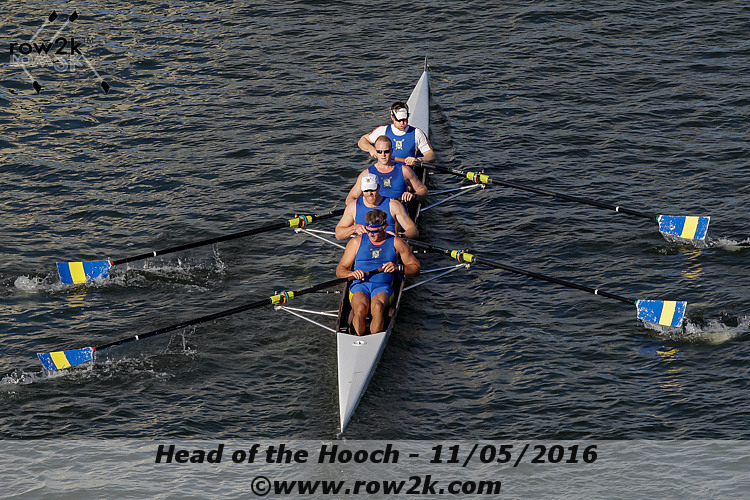 For the A boat, it was a great show of improvement coming off of tight and inspiring racing in Boston. The women’s masters 8+ was next, with a strong showing in the middle of the pack, placing 17th out of 32. Following them down the course was the women’s youth 8, where the A entry brought home the first gold medal of the weekend, and the B entry also secured themselves a place in next year’s race with a 23rd place finish out of a big field of 73. Next up, the masters produced strong results in the mixed double, with Lizabeth Theiss leading a composite entry with Rocket City to 6th place, and Kren Teren and Don Sullivan racing to 7th place out of 39 crews. The men’s masters 8+ followed and placed 12th out of 14, and the women’s youth novice 8 rowed down the course behind them for a top-10 finish, placing 8 out of 33. Taran Savoie placed 3rd in the College & Club lightweight single event. Nashville saw several strong crews down the river to close out the day. The masters women produced solid results in the 4+ event, finishing 20th (A) and 27th (B) out of 39, and the juniors, with four entries in a 78 boat field, proved their depth to place 1st, 14th, 18th, and 57th. Lucas Quinby and Grant Miller finished the day by jumping into the men’s youth double, where they took 69th out of 84. Sunday saw fewer events for Nashville Rowers but the races were no less exciting, Coach Anne Campbell started the day by rowing to a strong 7th place finish in the women’s championship single. Dietmar Kuttelwascher rowed to a podium finish in the master’s single, finishing 2nd out of 15 racers, and Kren Teren followed suit, claiming the gold medal in the women’s lightweight master’s single. Next up were the pairs, where Kuttelwascher and Will Weaver combined for a 7th place finish in the men’s master pairs, and the Junior men’s combinations of Jack Brimm and Quinn Cunneely, and Chase Yarbrough and Garrett Ufnar finished 21st and 35th, out of 39, respectively. The Junior women’s pair of Abby Tarquinio and Jess Mixon finished in the silver medal position, followed closely by their teammates, Marguerite Trost and Isabel Grant, who took bronze. The women’s quad completed the weekend’s racing for the masters, where the Nashville Rowing/Oak Ridge/All-American composite entry finished 7th, followed by the Nashville Rowing entry in 16th place out of 25. The final race of the weekend featured the mixed youth eights, and the juniors showcased their depth and versatility to take gold (A) and 9th place (B) out of 25 boats. 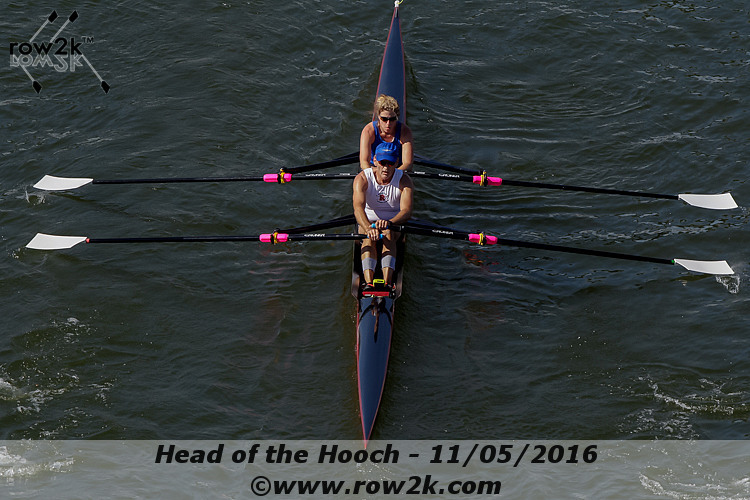 This years edition of the ‘Hooch provided great racing opportunities, and we are proud of all of the performances that club members contributed to. We now move inside for some training on the ergs and with the weights, and are looking forward to Saturday sessions of Percy Priest Lake. Sprint racing is just around the corner and will be here before we know it!